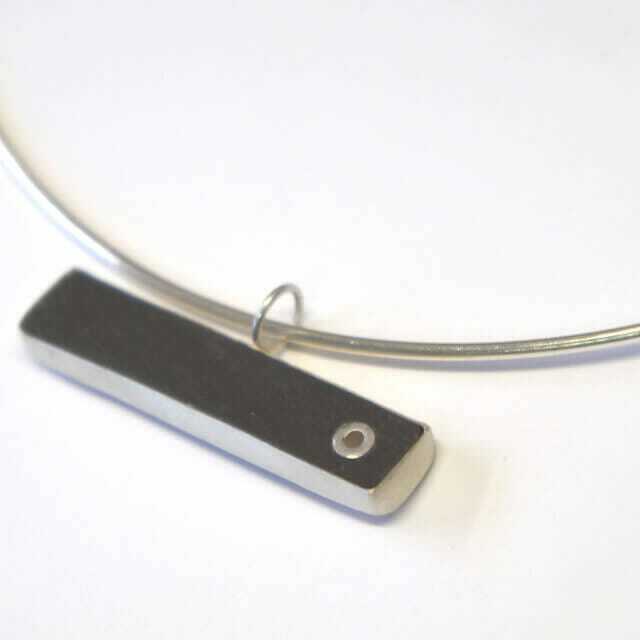 Hand cut Welsh slate bezel set in silver, complete with a silver tube rivet on a solid sterling silver hallmarked wire choker. Unique neckwear! The perfect gift! My new collection ‘Off The Rails’ came after a trip to Budapest, Hungary – The jewel of Eastern Europe. Inspired by curved metal railings held together with large chunky rivets, I designed my collection around that concept. I explored curved textured forms, using cold connections, rather than the traditional soldering process. 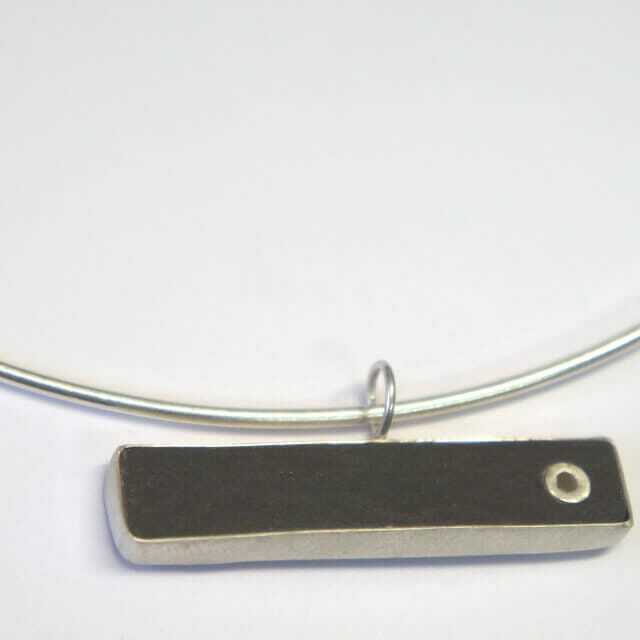 I set a range of semi-precious stones and Welsh slate. I also welcome commissions for that personal touch!